Art is born from a complex direct relationship with its surroundings and culture. Imago Mundi’s ambition is to unite these diversities of our world in a common frame of artistic expression. Here is my tiny canvas for Imago Mundi. But I was also thinking of Professor Gillian Triggs trying to be heard in the Australian Federal Government arena as I made this artwork. 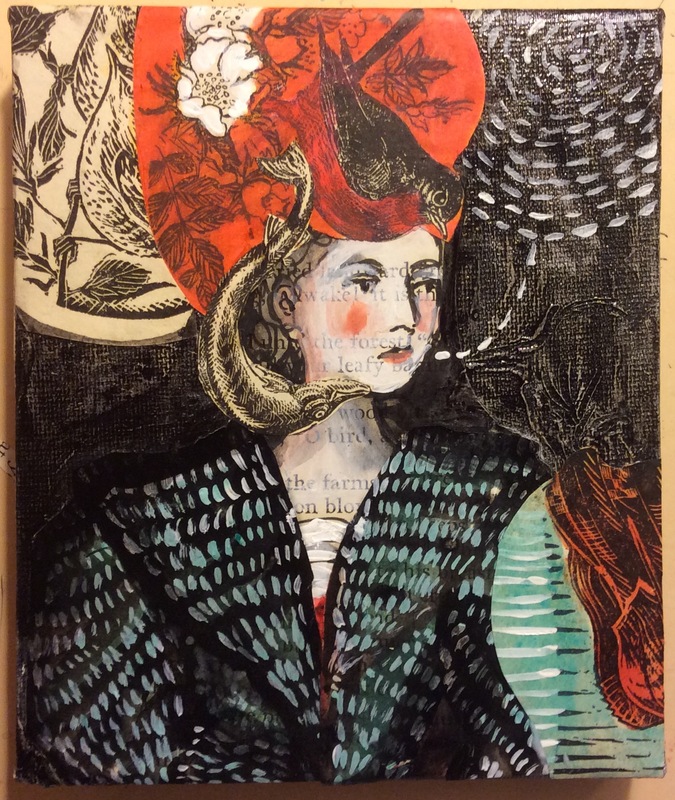 It’s made with acrylic paint, indian ink, felt tip, watercolour and collaged book pages on a very small canvas. This entry was posted in altered books, art projects, books and reading, creative process, Uncategorized and tagged #IStandwithGillianTriggs, collage, costume, Gillian Triggs, parliament, politics, voice, women on February 26, 2015 by Judy Watson. 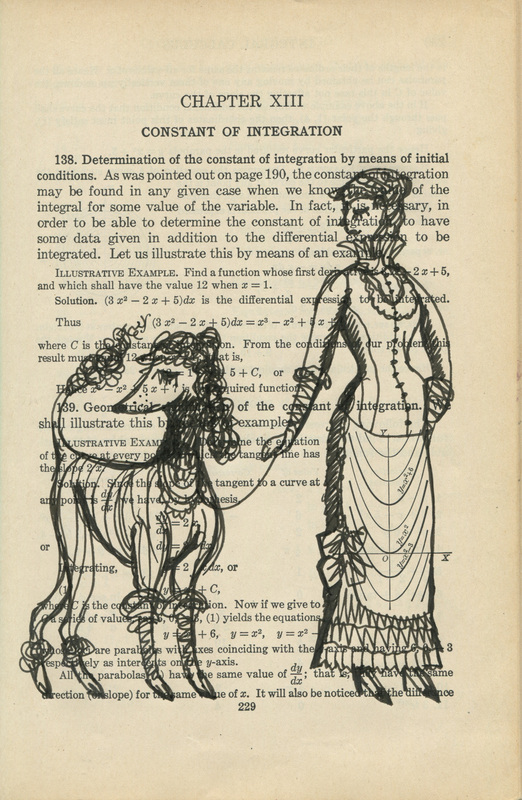 These were all done using a historical fashion book for reference and a differential calculus book as a canvas. 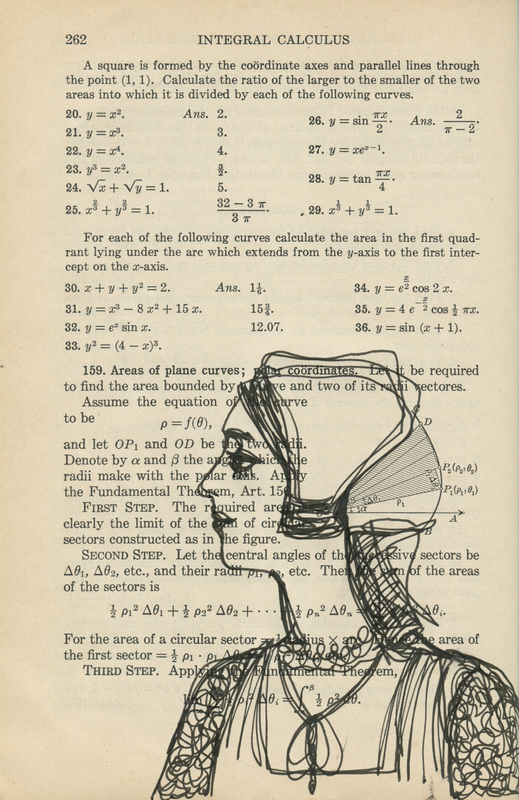 I first looked for interesting mathematical lines and diagrams, then found fashions that seemed to meld with them. The rest was a bit of swift improvisation. 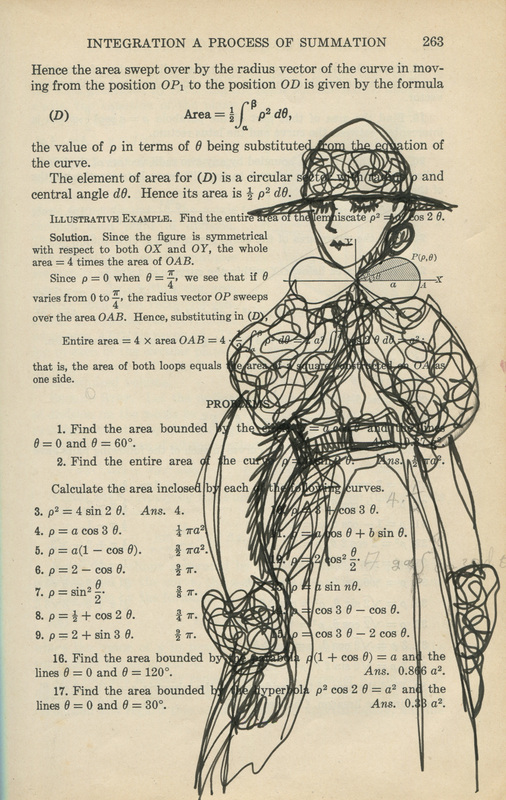 The women in the fashion book are (deliberately) bland and faceless. 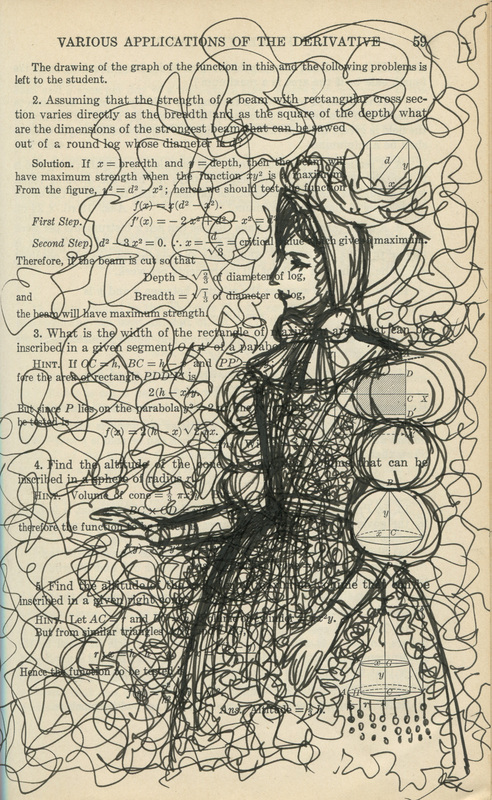 I added some life to the people, and altered poses, and fashion to suit the squiggles of my pen. 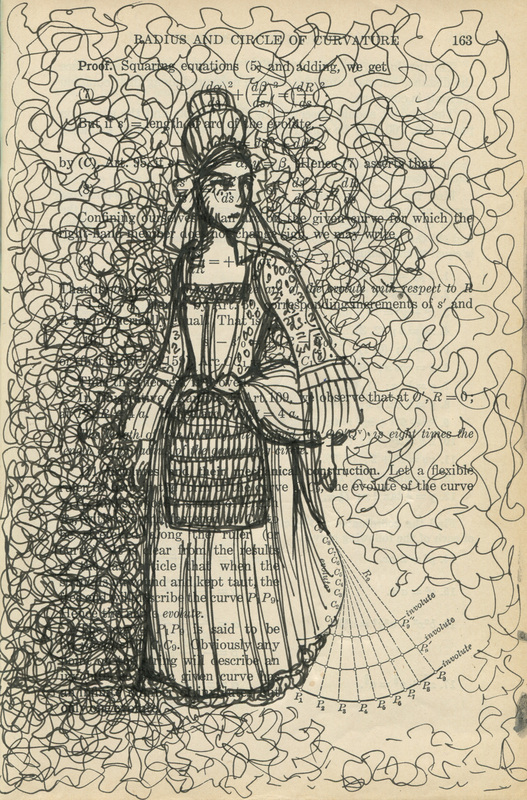 This entry was posted in 52 Week Illustration Challenge, altered books, Uncategorized and tagged #illo52weeks, 52 week illustration challenge, altered books, calculus, clothes, differential calculus, dress, fashion, fineliner, historical fashion, history, line, women on July 30, 2014 by Judy Watson. 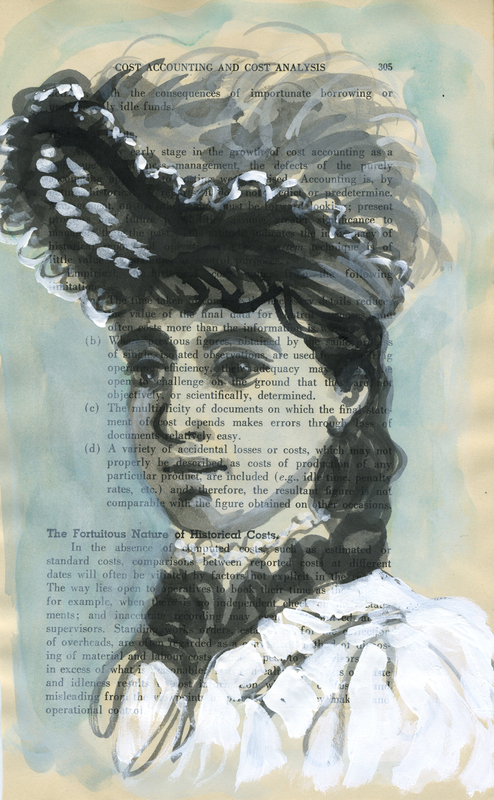 Young actress wearing a hat – This was my warm up sketch. Fast and loose. Waiting for the kids while they are in their drama class on Wednesday afternoons, I am in the lap of luxury for an hour in a big leisure centre. There is a huge room with large tables, very few people and a nearby change room with fresh water for painting. 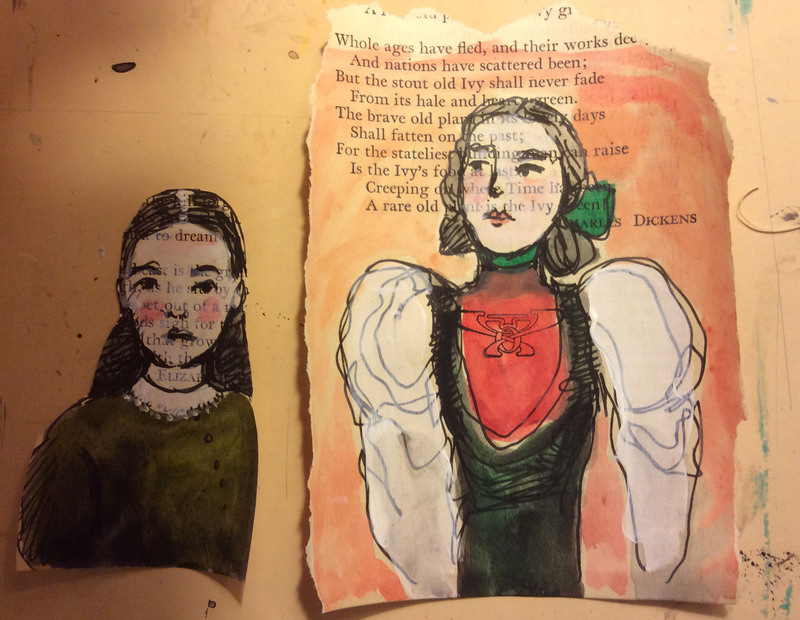 This week I took my altered book sketching back-pack (have ink, can travel) and did some sketches there. When I want to launch into something without thinking too much or wasting limited time finding a subject, I sometimes like to look at vintage cabinet cards, featuring studio portrait photographs from the 19th and 20th centuries. The faces are intriguing, the costumes often more interesting than today’s garb and usually the poses are wonderfully contrived. They are in black and white so the tonal values and detail are usually good for my purposes. Italian ballet dancer with smiling eyes. 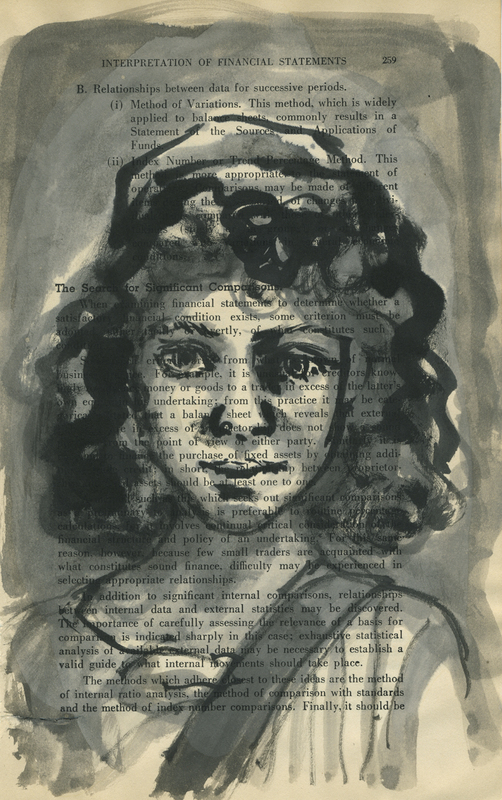 This one was done after I got home and she has a touch of collage. I cut the face first, loosely without drawing an outline, to avoid getting caught up in detail.. This woman looked like she was having a ball being photographed. She had a confident pose, uplifted chin and laughing italian eyes with Audrey Hepburn style eye make-up and brows. There was something rather sad about this woman’s eyes that touched me. 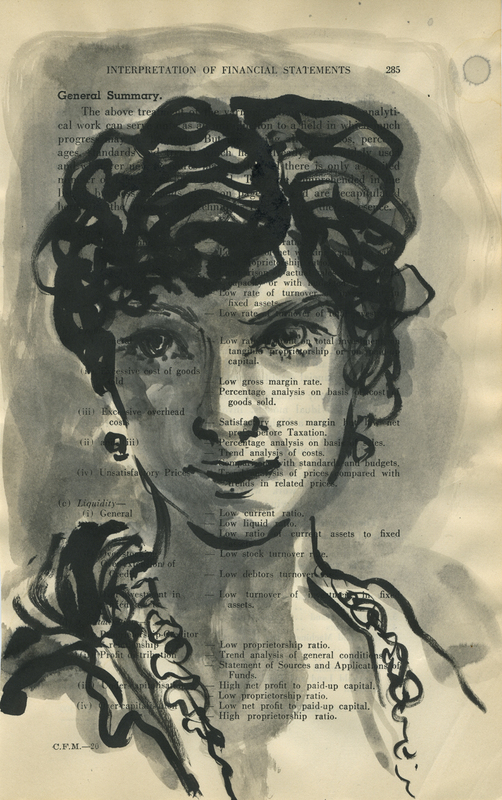 My sketch looks very little like the original woman, but it has retained the inward gaze. Although it’s not a particularly good picture, I find that I like her in a personal way, so she’s going up. 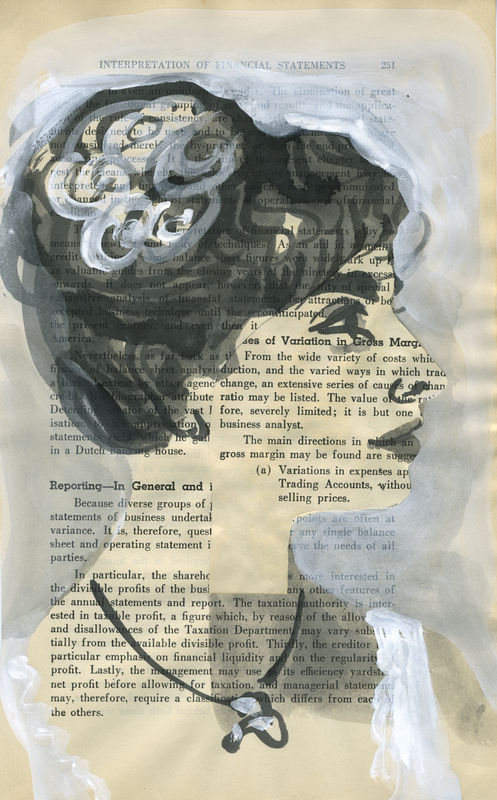 This entry was posted in altered books, art projects, books and reading, Uncategorized and tagged altered books, Cabinet cards, faces, indian ink, photographic portraits, sketches, vintage costume, women on February 12, 2014 by Judy Watson.